Brave New World opens with Lenina Crowe, an Alpha working with vaccinations in the Hatchery, and Bernard Marx, a colleague whose work focuses on sleep-learning. Bernard likewise an Alpha, complications during birth have left him stunted as an adult, an inferiority complex when dealing with other Alphas developing in tow. Lenina and Bernard’s relationship largely one to introduce readers to the society Huxley envisions, things pick up when Bernard, with the thought of getting romantic with Lenina, invites her to the “wilds” - a reservation in the American hinterland where people are not subject to the World State and live as savages. It is when meeting one of the men there, dubbed John the Savage, that the story takes off, the clash of perspective powering the novel through to its dramatic conclusion. Setting a good example for science fiction writers of today, Huxley’s attention to detail is irreproachable. Brave New World presents a fully fleshed futuristic setting, from societal norms to technological advances, neologisms to theological concerns. Citizens are exclaiming “Oh Ford!” instead of “Oh Lord!” in honor of the production line’s founder. At the learning centers, youth are engaged in sexual play from an early age, disease and conception not a fear. Anytime depression or negative thoughts occur, drugs are readily available to put a spring back in your step, ready to face the other happy consumers around you. And caste disputes are non-existent. With food and homes available at the same quality by status and social conditioning in place since birth, competition and infighting to scramble through the ranks is unheard of, society at peace. 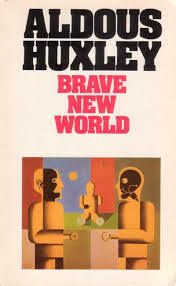 From an ideological point of view, Huxley accomplishes everything he sets out to accomplish in Brave New World with triumph. Starting with creating a scenario and presenting how characters behave within it, the last paragraph of the novel is a powerful knockout blow to the mechanization of human behavior and frivolity of personal worth. John the Savage the crux upon which the story hinges, experiencing the future through his eyes is both fascinating and terrifying. In the end, few books capture the essence of humanity as well as Brave New World, let alone works of science fiction. Huxley perfectly constructing a possible future for society, he then begs the question: is this what you want? This aspect much the same as Orwell’s Nineteen Eighty-four, each author admonishes us to move carefully into the future, fully aware how we apply technology and value our autonomy. His finger on the pulse of society, Huxley’s vision has, unfortunately, only further manifested itself in the eighty years since its publication. Globalization and the advance of technology backed by consumerism show no signs of letting up, making the book all the more important as the years roll by. I'm glad to see you add Brave New World to your reviews. It's one of the books that left a permanent impression on me when I read it in my mid-teens, along with Dante's Inferno, More's Utopia, and Thoreau's Walden (more decades ago than I care to admit). The thing about it that had the biggest impact on me, back then, was the fact that Huxley wasn't warning of a future world imposed on us from above by a tyranny, but rather one all of us will be responsible for, and all of us will happily welcome. I also read Brave New World as a teen, and indeed, it leaves a powerful impression, one which I too feel today. You raise an interesting point with the "happily welcome" comment. We could debate the nihilism of it :), but there is no denying many of Huxley's ideas have only become more rather than less relevant in the years since. 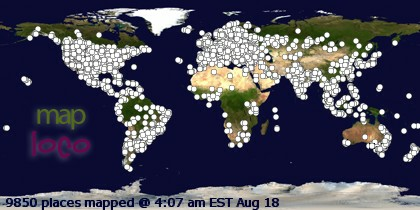 Thanks for visiting my tiny corner of the blogosphere! Superb interview! It really highlights Huxley's insight into ideas regarding the slow, imperceptible evolution of society into a form it would not accept were it to be presented in black and white terms at the outset. "The price of freedom is eternal diligence." - a great quote! While Huxley certainly deserves mention for the willingness to test his aristocratic acceptance by openly delving into psychedelics, I'm not sure the idea encompasses his oeuvre. In fact, when looking at his life as a whole, psychedelics entered very late. The majority of his books, fiction and non-fiction, were published prior, including Brave New World. It was only with the counter-culture's birth toward the end of Huxley's life that the mysticism, philosophy, and open-mindedness of his approach to psychedelics were brought to a wider audience. For the majority of his career, he was well-known amongst a different circle, and for a different caliber of idea. So while the counter-culture may have set Huxley up as a scion (given he indirectly advocated their behavior), I'm not sure psychedelics fully represent Huxley as a person or writer--integral, yes, but representative, no. I wonder if Huxley came to the conclusion that the only way to counter a totalitarian state that freely distributes mind-numbing drugs (a possibility he seems to have genuinely feared) was with an underground distribution of (supposedly) awareness-enhancing drugs. I don't know. But if he did, then there's irony in this site I ran across ... http://www.huxley.net/ ... where a proponent of transhumanism (enhancment of the mind and body through drugs, genetic engineering, and other technologies) calls Brave New World "insidious."